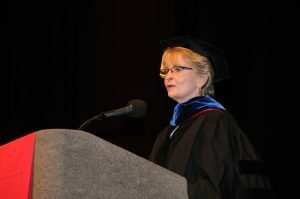 June St. Clair Atkinson is the first woman elected State Superintendent of the Public Schools of North Carolina and has served in this position since August 2005. In November 2014, Dr. Atkinson was named President of the Council of Chief State School Officers. In leading the Department of Public Instruction, Dr. Atkinson directed the groundbreaking Accountability and Curriculum Reform Effort (ACRE) initiative to revitalize the state’s curriculum and accountability programs. North Carolina’s landmark Race to the Top Grant supported this work in addition to several other key reform initiatives such as transforming low-performing schools. Dr. Atkinson also is focused on ensuring students have the opportunity to learn the technical skills that are important in today’s global economy. Thanks to partnerships with numerous corporations, North Carolina is able to advance the skills of both teachers and students, as well as transform learning, and ultimately student achievement.